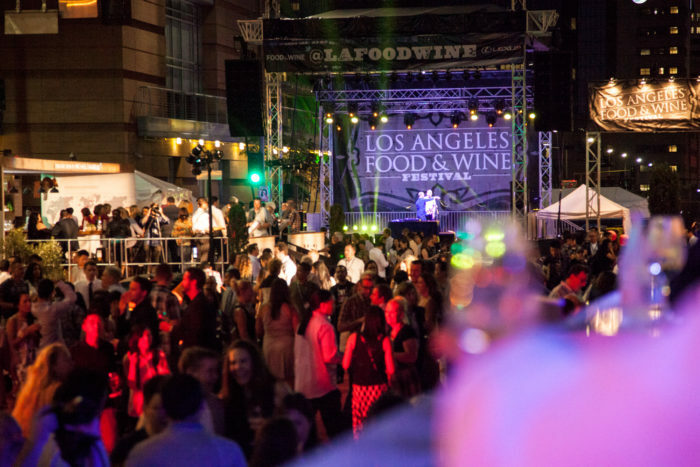 The 8th annual Los Angeles Food & Wine Festival is coming! This five-day epicurean event showcasing the finest in Los Angeles food and drink culture will take place in Downtown L.A., Santa Monica, Beverly Hills, and points in between from August 22-26. With dozens of celebrity chefs and hundreds of world-class wines — not to mention live entertainment — you’re bound to have a great time. Meet the culinary personalities behind some of the country’s most delicious food and drink offerings. Among the nationally acclaimed chefs at this year’s event: Curtis Stone, Susan Feniger, Mary Sue Milliken, Michael Reed, Steve Samson, Food & Wine‘s “Best New Chef” Jon Yao, Jason Neroni and many more! Sample various cuisines from some of these incredible epicurean influencers while enjoying the sights and sounds of the entertainment industry’s brightest talents, including a live DJ set from Questlove. Savor live culinary demonstrations, first-rate wine, and spirit tastings, strolling marquee events, unique lunches, and much more. The new Power Lunch series will feature exciting chef collaborations at Viviane, Rossoblu, DAMA, Rose Cafe, and Breva. Other highlights include kickoff dinners at Lasa and Big Boi, along with Heat on the Street, a Grand Avenue event featuring ceviche, tacos, carne asada, tequilas, and cervezas, hosted by Robert Irvine, Susan Feniger, Mary Sue Milliken, and Aaron Sanchez. Check out the various ticket packages here. Our friends at Goldstar also are offering discounts on events while supplies last.